Statistics show that fewer punters are using laptops and desktops for online betting. Last year, 51% of wagers were placed on mobiles and tablets, which was an 8% increase on the previous year. The top bookies have been quick to cater for this trend. You’ll find a wide choice of top betting apps on the iTunes and Google Play Store, with some that specialise in a particular game, and others that cover the whole spectrum of sports. These are incredibly easy to use. In most cases, once you’ve logged into your account, you’ll have full access to all the usual facilities that are on the site. You just need to tap to place a bet, and then wait to see if you’ve won! When it comes to choosing among the best betting apps for the UK, there are a few things that might influence your choice. Naturally, you will need to consider which ones are compatible with your device, but you may want to explore the promotions and the payment options that are listed. You will also need to check which sports are catered for, especially if you are a fan of one that isn’t mainstream. The design is important, too. The interface needs to be simple, so you can select the markets and add your bets to the slip with ease. The final suggestion is to look at the quality of the live streaming, if you want to follow your progress during the games. Ultimately, when trying to decide what is the best betting app for you, you’ll be looking for an application that is fast, easy to navigate, and has all the features that you require. There are several other factors that you may wish to take into consideration when you’re deciding which of the different ones to choose. In most cases, the top betting apps are compatible with iOS and Android operating systems, and there are several that are available for Blackberry, too. These can be downloaded from either the Apple Store or from Google Play. While Apple has always supported native real-money betting apps on iTunes, it wasn’t until August 2017 that Google decided to make them available at the Play Store for users in the UK. The leading brands in the industry were the first to be featured, with brands like 888 launching a sports betting Android app alongside their casino and poker mobile applications. Alternatively, you can go directly to the bookmaker’s website and download it from there. For Android versions, you may need to adjust the settings to allow third-party apps to be installed. This usually involves enabling the unknown sources button in the security section of the device. Once the installation has been completed, this can be disabled again, if you like. In the latest Android version Oreo, you can select one particular app for third-party installations, for example Chrome, and restrict unknown sources via other apps like Google Drive or Gmail. QR is really an abbreviation of quick response, and lots of people find that the codes are a convenient and efficient method for downloading apps. Many bookies have them on their websites, so you can scan the version that you want, and the download process will automatically begin. Several smartphones and tablets already have QR readers, but if your model doesn’t, you’ll find them available for free on either Apple Store or Google Play. The reader uses the camera on your phone for scanning, so you just point your device at the code, and then follow the onscreen instructions. When you use a betting app to open your account, the registration process is very straightforward. Initially, you’ll give some personal information, and this will include your name, address, date of birth, and telephone number. You will also create a username and a password. You won’t need to give any payment details at this stage. In accordance with the gambling regulations, you will be asked to verify your identity, your age, and your address. This can be done by providing copies of photo identification, such as a passport or driver’s license, a recent utility bill, and a bank or credit card statement. The best online betting apps offer a single or common wallet platform that allows for all online transactions to be processed from just one account. This lets bettors use the same login details across all channels and devices. Additionally, it provides them with the flexibility of selecting and switching their payment methods when they choose. These wallets usually cater for a number of different currencies and languages as well. The simplicity of using this singular system makes it effortless for punters to place bets and to access their winnings from any location, which makes it an attractive proposition for mobile users. Some of the biggest names in the industry that offer mobile sportsbooks, also have gambling apps like casino, bingo, or poker that you can download separately and manage with a single account as well. Omnichannel technology has really taken off in the last few years, which is great news for mobile punters. This system integrates multiple channels across all kinds of platforms and devices, allowing for a seamless transition between them all. As a result, you can now use the same credentials to access the bookmaker, so you can place your wager in the betting shop, and then follow the match on the app while you’re working. This approach makes it easy to keep track of your bets and to monitor the outcomes of sports events throughout the day, even if you’re constantly on the move. When you start looking through the different sportsbook apps, you’ll notice that there are all kinds of regular promotions on offer. Some of these are linked to a particular match, tournament, or event. Others, however, can be used for a broad range of sports. The sign-up bonus is likely to be the first one that you come across. This can take several different forms and will vary between different establishments. In spite of these variations, there are a few things that you should look for. The expiry dates of the offers are changeable, but this is usually set at around 30 days. There could be minimum odds too, such as 1/5. Additionally, there may be restrictions on payment methods and on the amounts deposited, so these are other factors to check. Finally, look at the wagering requirements. You’ll see this listed as 5x, for instance, which indicates that a five times playthrough condition has been attached to the deal. On most of the promotions on the apps, you’ll see free bets mentioned. This is usually quite different to the registration bonus, and it’s a difference that really needs to be understood. When you accept one of the free-bet deals, you are, in effect, being awarded a sum of money as a loan. If you are successful, you will be allowed to keep the winnings, but not the original amount itself. This will be paid back to the bookies. For example, you have a £10 free bet, and you wager it at odds of 2/1. 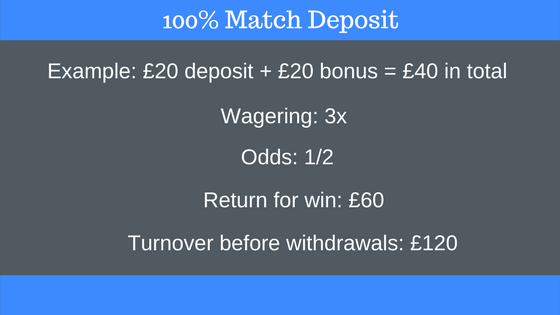 If you win, you will receive £20, and the remaining cash is returned to the sportsbook. Accumulator bets are attractive to punters because they increase the chances of getting a big pay-out. In these, you are betting on a number of possibilities, which are turned into a single bet. For example, you may wager on three different horse races. If you are unsuccessful in one of these, you forfeit the whole sum. On the other hand, if you win them all, you’ll receive a far larger amount. These types of bets carry a higher risk for bettors, but there is ACCA insurance to counter for one of the losses, and if you opt for this, you don’t lose your stake entirely. This insurance will sometimes feature in one of the promotions, and it’s something to look out for at the top betting apps. The quality of user-experience is everything when it comes to choosing your sportsbook app. The best ones have all the key information on the screen, without the interface becoming cluttered. Look for one that uses simple tabs or drop-down menus to provide the extra details, the way bet365’s Android app does, with a sleek design and easy to navigate layout. You’ll also want to have the same facilities available as you would on your desktop, so make sure that you have all the in-play betting options and live streaming possibilities available. Many of the betting applications have special features, which add to the overall functionality. Touch ID is available on the most popular betting apps for iOS. This allows you to use your fingerprint to log into your account, and once you have enabled this facility on your smartphone or tablet, you will have faster access to the sportsbook. Latest android betting apps offer notification badges, so that you can keep up to date with all the latest scores. A dot will appear in the corner of the icon to inform you that you have an unread message. The other popular effect is picture-in-picture (PiP). This allows you to watch the games in a smaller window, while you continue to browse through the other content. When you want to access the sportsbook, you’ll have two different possibilities open to you. The first is to download a native app and to install it onto your device. This has the advantage of being instantly accessible, although you will be using up some of the memory on your device. The second choice is to use the instant play option. To do this, you simply log into your account at the venue with your phone or iPad, and you will be automatically directed to the appropriate version of the site. The only requirement for both of these methods is a reliable internet connection, but the majority of punters don’t find this much of an issue nowadays. The best online betting apps you access directly from your browser encrypt the information you share, so you can have complete peace of mind that your personal and financial data is protected. Modern mobile browsers will also warn you if there’s a problem with the security of the site you’re trying to open, so you don’t need to worry about typosquatting or other type of cybercrime. A native betting app has the advantage of being specifically designed for a particular operating system. This significantly reduces the possibility of any conflicts or errors occurring. As they don’t have any unnecessary elements, they tend to load more efficiently as well, which gives you faster access to the sportsbook. They can integrate with other features on your device too, and you can receive push notifications to keep you informed. Many punters report that the overall performance is enhanced, especially during live play. iOS Platform.The iOS platform is a proprietary mobile operating system, which is found on all Apple devices, including iPads, iPhones, and Apple Watch. Android.The Android operating system was originally developed by Google, and it is now used on a wide range of tablets and smartphones. Blackberry.Blackberry was formerly one of the leading proprietary operating systems developers but is now concentrating on licensing with partners. There are a few additional security precautions that you should take when you are using a sportsbook app. It’s best to avoid storing any log-in details or passwords on your phone or tablet. The same applies to your personal or your banking information. It’s always advisable to sign out when you have completed your session. The final piece of advice is to activate the screen lock. As long as you’ve followed these few, simple steps, your account will remain secure at all times, even if your mobile device is lost or stolen. Before you register and add funds to your sports betting account, it’s best to make a few verifications to ensure that the site is legitimate. This is very easy to do as the best betting apps display the licensing information openly, and you’ll usually see it in the footer of the site. It’s also a good idea to look through the terms and conditions so that you know the general rules and regulations that are being applied. The final check should be to see which independent bodies they are associated with. There are several, such as ESSA and IBAS that monitor for fair play, and if a company has subscribed to one of these, you can be assured that they are reputable. Most of the top betting apps will allow you to make deposits and withdraw funds from your account. The process is usually much the same as it is on desktop, as you will be accessing the cashier in the standard way. Your options will vary between the bookies, but you will generally be able to use the main credit and debit cards, and bank transfers. Other popular choices are one of the e-wallets or prepaid cards. You will also be able to use Bitcoin in some establishments. There is often a more limited selection for withdrawing. Whichever method you decide upon, ensure that your financial information is being encrypted during the transaction. This is shown by the padlock symbol. Also, it’s best to check the processing times, and whether there will be any fees attached. There are a number of payment methods that are specifically for mobile use. To access any of these, you will need to navigate to the cashier section of the app, and then select your preferred option from the ones listed there. Although there are several different providers for this type of service, there are two names that you are likely to come across. Boku allows you to add funds to your account with your phone. To do this, you simply select this option in the cashier section, add the sum you wish to pay in, and then click to continue. You will receive a text in acknowledgement, and you respond to this as confirmation. A second message will then be sent to inform you that the transaction was successful. The minimum amount for this service is £10, and the maximum is £30. This is added to your next phone bill, or if you are using pay as you go, it will be deducted from your balance. Apple Pay works with iOS devices, so it is suitable for all iPads and iPhones, and for Apple Watch too. It couldn’t be easier to use. Initially, you will need to set up your account. This entails you adding a credit, debit, or prepaid card to your device. Then, whenever you want to add funds on the sportsbook app, you simply have to navigate to the cashier section, tap the Apple Pay button, and confirm the transaction. The minimum and maximum limits of these will vary, depending on your location and on the bookmaker. In many ways, the betting process is far simpler on a mobile device. When you’re using a desktop, the multitude of options means you can easily click on the wrong one. However, the top betting apps have a more user-friendly design. The screen has a clearer layout and the dropdown menus mean that you can be more accurate with your selections. You can just choose your markets, pick your wagers, and then add them to your betting slip. Many bettors like to have the possibility of cash out available to them as they play. This allows them to choose whether to take out some of their winnings before the event has finished. Although you are receiving a reduced percentage if you do this, it is a useful way of controlling losses. For instance, if your football team is ahead at halftime, you might not want to take the risk of an equalising goal in the second half, and so you opt for an early cash out. This option is available on the most popular betting apps for all the main markets, so it’s something to consider when you are making your choice. Live or in-play betting is one of the best reasons for using a sportsbook app, as you will be able to place your wagers while the action is happening from any location. 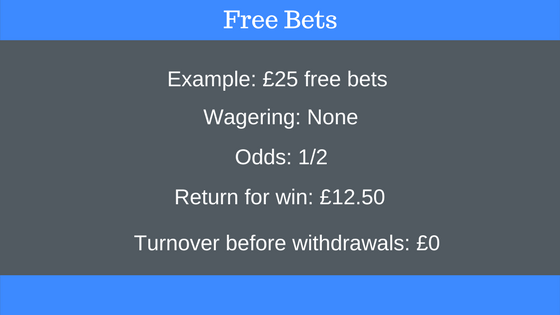 This gives you the freedom to adjust your bets according to the way the game is going, and even to take the cash out option, if you like. When you click on one of the lines, you’ll be able to follow the play, and monitor as the scores register. The odds will change while you’re watching, and the graphics illustrate what is happening in real time. When it comes to live betting, you will want to check the resolution of the screen on your mobile device. Apple’s Retina Display provides users with crisper images, and many competitors have gone for matching pixel densities in their mobile products. As there is a live video feed on many of the matches, this quality becomes a vital factor. You will want to experience immersive streaming, which is fed through to you in stunning definition. The other key consideration is checking for LTE. This offers faster speeds and better stability. Most of the bookies list the main sports categories on the mobile apps, although you will find football on a separate version in some cases. The statistics show that it is this game that remains the most popular betting choice within the UK. Generally, you’ll have horse and greyhound racing, tennis, rugby, cricket, and golf included on the websites as well. Other options you’re likely to see in the listings are snooker, motor sport, boxing, and darts. Many of these will feature highly on the top UK betting apps during special tournaments or matches. There are a number of additional sports included on the websites, and there might be some that you haven’t considered wagering on before. You’ll be able to bet on the team games, such as baseball, basketball, and ice hockey, as well as on the individual ones like table tennis and badminton. Depending on the site, there will be some other alternatives, too. Water polo, volley ball, or surfing may be betting options. You’ll even see chess listed at some of the bookies. What Kinds of Special Bets Are There? One of the sections on the websites is often reserved for special bets. This category doesn’t usually cover sports games or championships. Instead, it focuses on one-off events or television programmes. For instance, you can wager on something to do with the Royal Family, on the Oscar nominees, or on who will win one of the reality shows. Some sites have separate options for politics, too. It’s even possible to place a bet on who will be successful in Eurovision! The eSports sector is one of the fastest growing areas of sportsbook betting. This is, essentially, competitive video gaming, and there are all kinds of tournaments and leagues available. Downloading a mobile sportsbooks like Betfair’s Android app gives you the chance to keep tabs on more than 20 eSports events daily. The majority of the play is team-based, and the games come in a wide range of formats. You can opt for multi-player battle arena versions, or the first-person shooter ones. There are real time strategy and combat options, as well. You will be able to wager on all the different outcomes, just as you would on a regular sports match. Several punters find the community side of sportsbook betting one of the most appealing aspects. Many of the teams and championships have their own channels on YouTube, and there are chat groups available on lots of social media groups, such as Reddit, Facebook, and Twitter. This gives bettors the chance to keep in touch with the news and speculation, and to pick up some betting tips along the way. There are a number of apps that focus solely on sports news, which is a great way of finding out all the scores instantly. A final point to note is that many of the sports betting websites have other apps available. In most cases, you will be able to access these with your standard log in, so once you’ve registered, you can make use of all of the other types of entertainment that is on offer. The choices will depend on the site, but you may be able to participate in poker, bingo and casino games with a single registration.